In same skillet, cook bell pepper in bacon drippings over medium-high heat 1 to 2 minutes or until crisp-tender. Remove from skillet with slotted spoon to medium bowl. Bake 30 to 35 minutes or until mixture is bubbly and juice of chicken is clear when center of thickest part is cut (at least 165°F). Sprinkle with chopped bacon. So what does “smothered” mean in cooking terms, anyway? 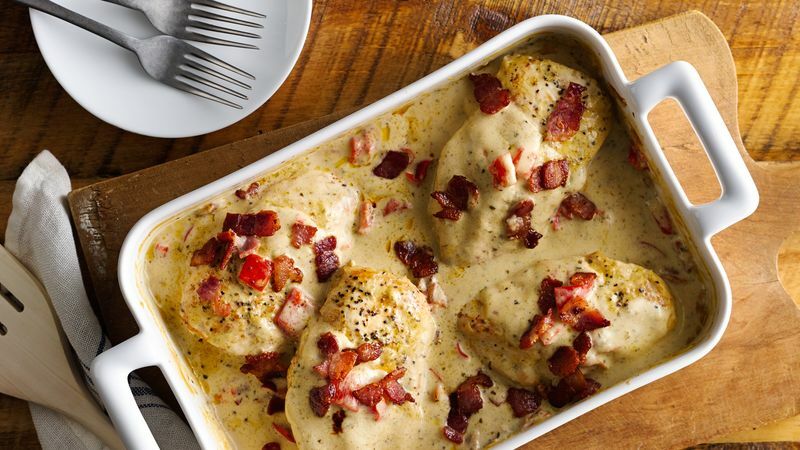 Smothered cooking refers to a specific technique that originated in Cajun and Creole cuisines in Louisiana. The basic idea is to brown meat—whether it be chicken, pork, steak, etc.—and then, as the name implies, “smother” or cover it in a homemade gravy, served over rice with any combination of sautéed vegetables. 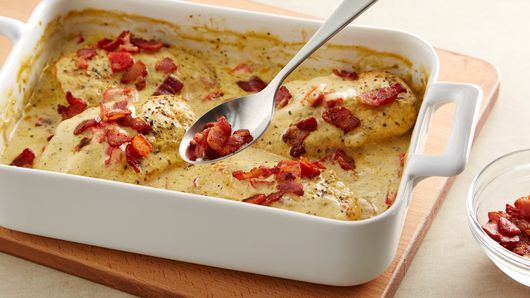 If you’ve never made a smothered bake before, then our 5-Ingredient Smothered Chicken Bake is the perfect place to start. 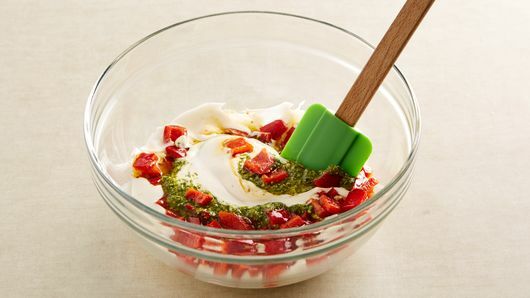 This recipe uses a shortcut gravy made from Alfredo sauce, pesto and bacon, which eliminates a lot of fuss and stove time. It’s then baked with chicken breasts and ready to eat in less than an hour! It tastes best served over rice with some veggies. 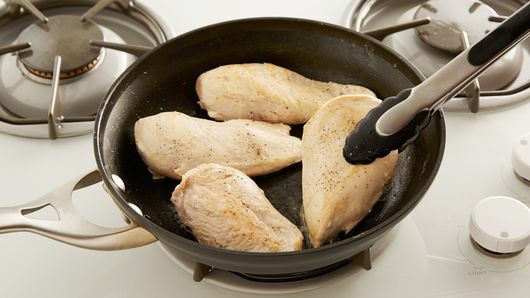 Want more super-easy chicken recipes? We have lots of those, right this way!